Get out of town with these interesting Perth side-trips: Pinnaroo Point Beach (in Hillarys), Mandurah (Waterskiing & Jetskiing & Dolphin & Whale Watching) and Fremantle (Fremantle Prison & The Shipwreck Galleries). Dedicate the 27th (Wed) to wine at some of the top wineries in the area. Pack the 3rd (Sun) with family-friendly diversions at Adventure World Perth Australia. 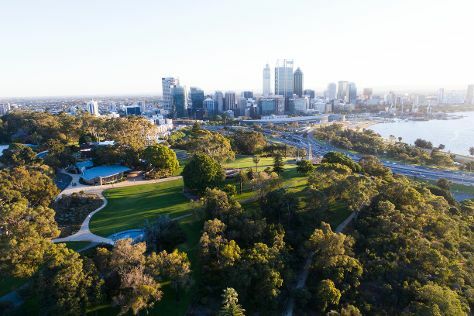 There's much more to do: stroll around Kings Park & Botanic Garden, contemplate the waterfront views at Swan River, steep yourself in history at The Perth Mint, and learn about wildlife with up-close encounters at Perth Zoo. To see where to stay, other places to visit, maps, and other tourist information, use the Perth trip itinerary planner . Philadelphia, USA to Perth is an approximately 30-hour combination of train and flight. You can also do a combination of train and flight; or fly. The time zone difference when traveling from Philadelphia to Perth is 13 hours. Prepare for warmer weather when traveling from Philadelphia in February: high temperatures in Perth hover around 90°F and lows are around 63°F. Cap off your sightseeing on the 3rd (Sun) early enough to travel to Sydney. Change things up with these side-trips from Sydney: Norman Lindsay Gallery & Museum (in Faulconbridge) and Wentworth Falls (in Katoomba). Spend the 10th (Sun) exploring nature at Sydney Harbour National Park. 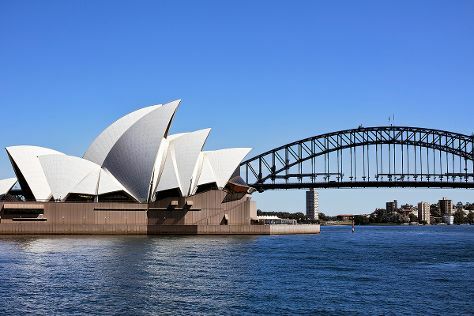 Next up on the itinerary: listen to music at Sydney Opera House, appreciate the history behind Mrs Macquarie's Chair, don't miss a visit to Sydney Harbour Bridge, and take a stroll through The Rocks. To see more things to do and other tourist information, read our Sydney travel itinerary planner. You can fly from Perth to Sydney in 7.5 hours. Alternatively, you can drive; or do a combination of train and bus. You'll lose 2 hours traveling from Perth to Sydney due to the time zone difference. Traveling from Perth in March, expect nights in Sydney to be about the same, around 66°F, while days are little chillier, around 79°F. Finish your sightseeing early on the 13th (Wed) to allow enough time to travel to Brisbane. Get out of town with these interesting Brisbane side-trips: Warner Bros. Movie World (in Oxenford), Sea World Theme Park (in Main Beach) and Surfers Paradise (SkyPoint Observation Deck & Surfers Paradise Beach). Next up on the itinerary: walk around South Bank Parklands, admire the masterpieces at Queensland Art Gallery, take in nature's colorful creations at Brisbane Botanic Gardens Mt. Coot-tha, and explore the activities along The Brisbane River. To see ratings, more things to do, other places to visit, and tourist information, refer to the Brisbane trip planner. Fly from Sydney to Brisbane in 4 hours. Alternatively, you can do a combination of flight and bus; or drive. In March, daytime highs in Brisbane are 82°F, while nighttime lows are 68°F. Wrap up your sightseeing by early afternoon on the 22nd (Fri) to allow time for travel back home.